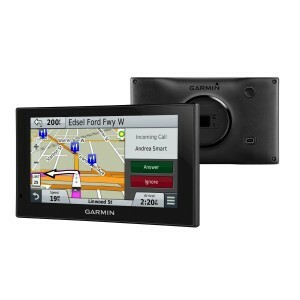 The Garmin RV 660LMT has excellent navigation features that provide exceptional lane assist directions. You can enjoy free traffic data, voice recognition, guidance for elaborate intersections, along with lifetime map updates. The map updates are easily installed using a PC, which also enables you to put in your prefered vehicle icons for impressive customization. Choose from a variety of fantastic icons to suit your personality of the purpose of your vehicle. The unit also offers free voice options that deliver instructions to you. This model tends to miss some RV obstacles and can suggest dirt roads without warning the user that they are so. The RV mode tends to take the user to four-wheel drive routes including forest service roads and side roads, which a smaller car or vehicle may not be able to manage. After all, this is, first a foremost, an RV GPS designed to warn drivers of oversized motor coaches on steep grades and sharp curves for their vehicles so the height and weight restrictions may not apply to smaller vehicles of SUVs. 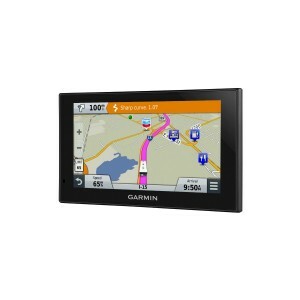 Touch the screen of the Garmin RV 660LMT and it enables you to do easy modification of your route. You can choose your favorite cities or roads with a simple touch of the screen. The six-inch touch screen is easy to read and comes with a solid suction mount that ensures secure attachment to the vehicle’s windshield for many miles on the road. The included 12-volt car adapter cord facilitates sustained use. The touchscreen eliminates the need to go through a complex navigation menu since you only need to select the type and size of the vehicle you are driving so the unit will suggest routes based on the specific RV you put in. The 660LMT is an effective road companion as it provides a variety of points of interest including a directory of service and repair locations and RV parks. Searching for suitable campgrounds for your specific vehicle is made easier with the inclusion of specific amenities such as Internet access, water hookups, pets welcome and electricity access. The portable navigation device also comes with Four Square recommendations so you can make filtered and informed choices during your road trip. This effectively eliminates the need to pull out of a location just because they don’t provide the amenities you need. The Garmin navigation system guides you in the right direction, so you can avoid lengthy delays and roads under construction. You can get ample warning about lane changes ahead as well as divided highways. You won’t miss a turn since the unit issues voice instructions that are given clear and loud. The elevation map tool also lets you view upcoming steep grades on the way to your destination. Moreover, the unit can be programmed to accept voice instructions. The user simply has to ensure that everything is quiet in the vehicle and say VOICE COMMAND to activate the unit’s voice recognition system. The user can then use basic voice commands that are easy to master and prove to be effective, so you can focus on the road ahead. The RV 660LMT brings you civilization on demand so you can make the most of the open road while travelling with an extremely helpful guide. It features an easy-to-read display that provides a perfect fit in your vehicle. It suggests routes according to the dimensions of your RV and even offers easy route modifications to suit your preference.